URL redirect notifications are often meant to serve as security measures, but at least one malware blackhat is exploiting these services and redirecting site visitors from the website they think they are about to visit to a spyware-infested haven. That’s bad enough on its own, but the as-yet-unknown assailant has also used search engine optimizations to push the polluted redirectors higher in Google’s search rankings. Once again, Mac users seems to have less reason to be concerned as any installation of whatsoever that modifies the system installation as such, is always confirmed by the user. The web site of The Open is a disgrace. 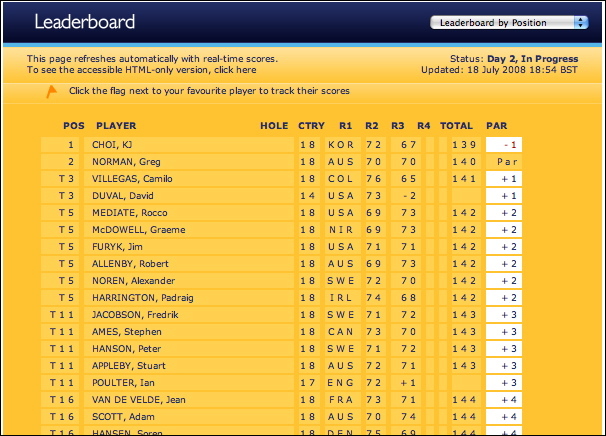 The scoring board in both Firefox and in Safari on the Mac doesn’t render correctly. You would expect better from the people behind the Open – greatest golf tournament in the world. The europeantour.com knows how to do it. As does the US PGA tour. All day has been a mess regarding my .mac e-mail account. As most of the population will know, we are approaching the launch of the iPhone 3G rapidly. The App Store via iTunes is online (and is looking very nice, very nice indeed) and iTunes has been updated and the update was available here as well. However, the address www.mac.com has been unreachable since this morning, thus making it impossible to check any e-mail via a web browser. It was supposed to last six hours, but here there is nothing in working order… The new address doesnt work either (http://www.me.com). 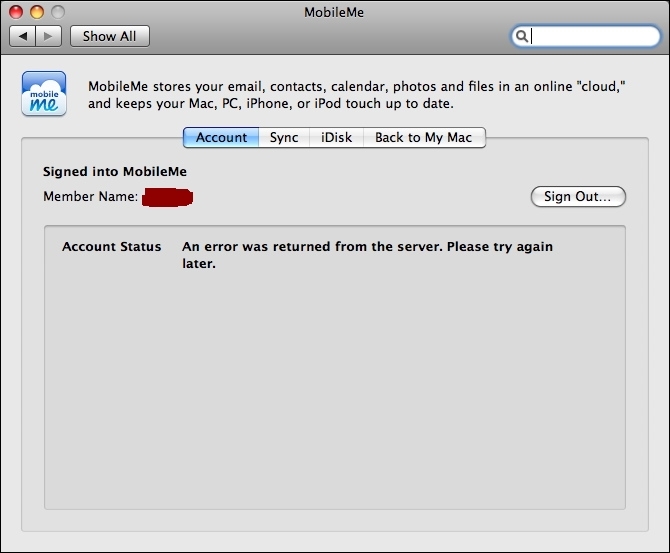 It is just showing the feature page at Apple regarding the MobileMe package. So currently Mail seems to be retrieving all mails on the server, Growl is misbehaving after the install of MobileMe (which by the way still is not available in Software Update). Plazer has been updated. Now plays with the Skype API as well. Excellent. The SMS thing is not working to well with my mobile though… In general the application is really good! Pour finir, une pré-version de Firefox est disponible pour les Macs Intel sur le blog d’un des principaux développeurs Mac de Firefox. Attention, ce n’est pas une version universelle mais uniquement Intel.